ALA GAP Insurance has been providing specialist motor insurance since 1990. It provides a variety of financial products and expert advice to customers. You can get a GAP insurance quote from the ALA website. When an insurer declares your car a total loss (write-off), the payout you receive is decided by the value of your vehicle at the time the claim is made, not at the time of purchase. A new car can lose as much as 70% of its value in the first three years of ownership, and a second-hand car can lose 20% in just six months. If your vehicle is written off and needs to be replaced, GAP insurance covers you for the difference between your insurance payout and the amount you originally paid for it. Find out more - what is GAP insurance? Back to Invoice Plus This is best suited to vehicles up to 10 years old on finance and those owned outright (delivered in the last year). In the case of a total loss claim, this policy will pay the difference between your comprehensive insurance settlement and what you originally paid for the car, or the outstanding finance - whichever amount is greater. It is also known as Return to Invoice cover. Vehicle Replacement Plus This is best suited to new and used vehicles up to 10 years old and with less than 80,000 miles, either on finance or owned outright (delivered in the last year). It will pay the difference between your comprehensive insurance settlement and replacing your car new for old (or for a car of a similar age to your car when bought), or the outstanding finance – whichever amount is greater. Contract Hire Plus This policy is suitable for new and used vehicles on contract hire (delivered in the last 180 days). If the car is declared a total loss it will pay the difference between your comprehensive insurance settlement and the outstanding amount due to the rental company, as well as any shortfall in the value of the car since you first hired it. Agreed Value GAP This policy is suitable for used vehicles up to 7 years old with less than 80,000 miles on the clock (delivered in the last 180 days). This policy will pay the difference between your comprehensive insurance settlement and the retail value (according to Glass’s Guide) or purchase price of your car (whichever amount is lower) at the time you take out the policy (so, not when you first purchased the car). ALA also provide GAP insurance for vans and motorcycles, as well as for car fleets. 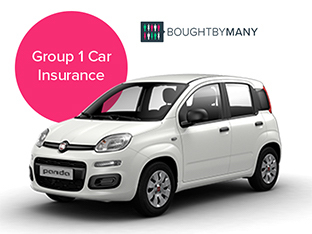 Click the links to find out more about the best car and van insurance policies. Customers can also purchase a GAP extend policy, which extends their GAP insurance for an additional year after the initial 3 year cover period is over. Other optional extras are also available, including tyre insurance, alloy wheel insurance, scratch and dent insurance, tools in transit insurance, key insurance and excess insurance/protection (find out more about insuring your excess here). ALA GAP insurance covers all named drivers on your car insurance policy. All claims are settled within 48 hours of the car being declared a total loss by the insurance company. Click the link to get a personalised insurance quote from ALA GAP Insurance. How much does GAP insurance cover from ALA cost? The cost of GAP insurance varies according to personal details and the type of car being covered. However, ALA GAP Insurance starts at a one-off payment of £74 for three years. ALA have a price guarantee – if you find a cheaper comparable policy online, they will match it and take an extra 20% off the difference. Get a quote tailored to your needs on the ALA GAP Insurance website. What do ALA GAP Insurance reviews by customer say? On Trustpilot, ALA received 5 out of 5 stars and a score of 9.7 out of 10, giving the company a rating of Excellent. 88.6% of the 675 customers who left reviews gave the service 5 stars, and a further 10.8% left 4 star reviews. Additionally, testimonials left on the AutoTrader and Honest John websites (both websites recommend ALA GAP Insurance to customers), also praise ALA for their service, products and value for money. What do ALA GAP Insurance reviews from the experts say? ALA Gap Insurance is endorsed by AutoTrader, JCB, Honest John and PistonHeads. Independent financial researcher Defaqto has rated ALA GAP Insurance’s Back to Invoice Plus, Contract Hire Plus and Vehicle Replacement Plus policies as 5 Star, and their Agreed Value GAP policy as 4 Star. A 5 Star rated policy has “an excellent product with a comprehensive range of features and benefits” and a 4 Star policy has “a good level of features and benefits”. Get a personalised GAP insurance quote on the ALA GAP Insurance website. If you're looking for Car Insurance, check out our list of the top 10 best providers.